Never fear! The creators and vendors of the event got together and are creating polishes available for sale to everyone before the Con! How cool is that? The releases are done weekly on Sundays at 8am Central. 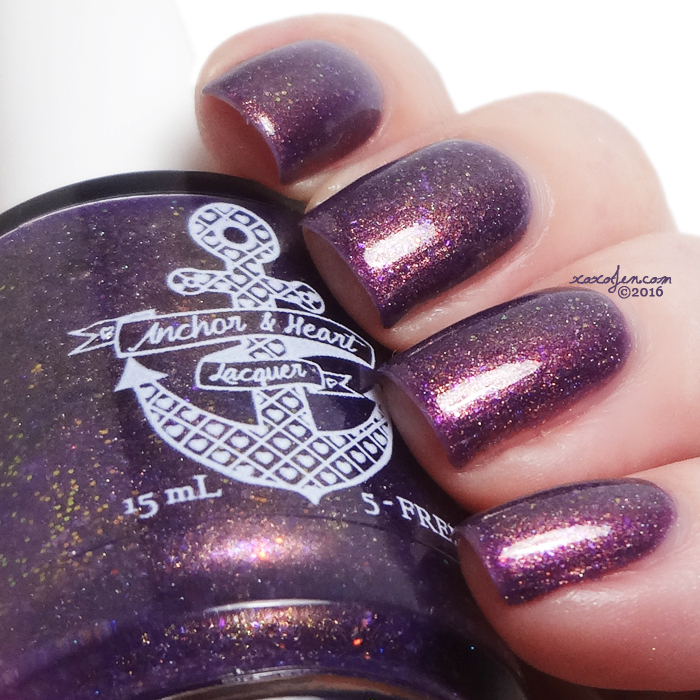 This week's launch will feature week 3 polishes from Anchor & Heart and Ellagee. Going forward, I will be reviewing every shade available each week. Taryn is the creator of Anchor & Heart and I've gotten to know her just by lurking in her group and friending her on facebook. She has the most precious kiddos, which she loves dearly. I often see her being kind to others in business and on her personal page. She's thoughtful of charities and encourages others to make donations too. She always has cheerful words to share and a fun, gentle sense of humor. All of these things come out in her products, packaging, customer service, and even in marketing - Anchor & Heart is an experience you won't want to miss! To find out more about her brand, check out her Etsy store's about page. 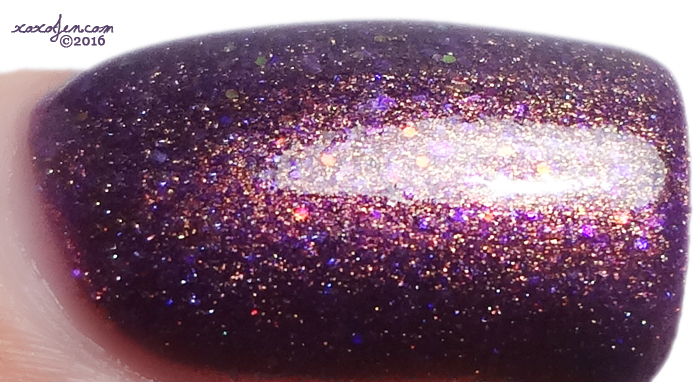 Go Big or Stay Home has a sultry purple base, packed with shifting shimmer and sparkling flakes. The formula was buttery and applied evenly; I wore two coats and topcoat. Laura of Ellagee describes herself as a sparkly unicorn and general do-it-all person at the business. She has been a nail polish collector and frankener since she was a teenager and then started making her own polish for as a hobby in 2012. Early in 2013, her dream of opening her own shop came to life on ellagee.com! Since then, she has crafted and shipped over 18,000 bottles of nail polish joy to happy nail polish lovers around the globe. She enjoys bright colors and rainbows and by extension, unicorns! Her mascot, Percy the Unicorn, joined the shop in 2015. He is the essence of the colorful fun she strives to bring you in polish. 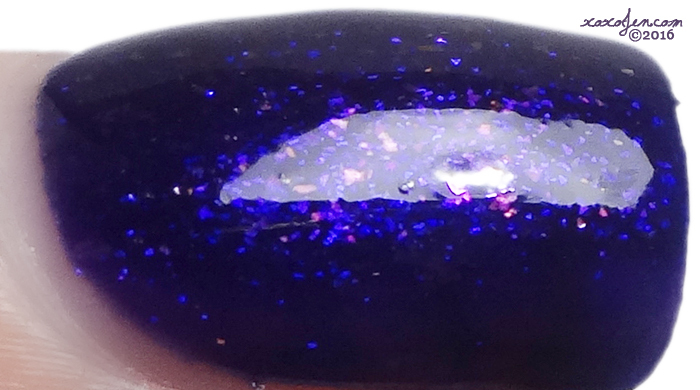 Wish You Were Here has a squishy grape jelly base packed with sparkling flakies of all sorts! I wore two coats with topcoat for that extra glassy squishy shine!